Hageman noted Thompson's frequent smiles during that rehearsal, to which she said "I love it. I love them." Later, she describes her Northwestern colleagues and students as a "massive community of great people and accomplished musicians." 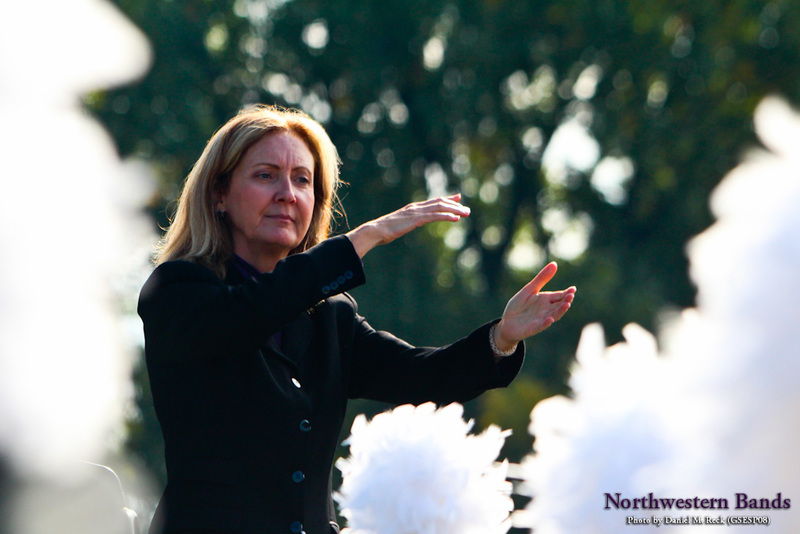 The Tribune also notes Thompson's work as artistic director of the Northshore Concert Band as well as the frequent invitations she receives to conduct premiere U.S. military bands, which she described as "quite an honor" for a civilian. Cuts to school music programs, Thompson's own listening habits, and a bit of background about the work that goes into conducting were also discussed. A bit of Thompson's personal philosophy is also showcased. "Nothing is better than what's right in front of you," she says, "Nothing is funnier than real life. Also, it's good to remember to be grateful for things...I try to never be in too big a hurry."